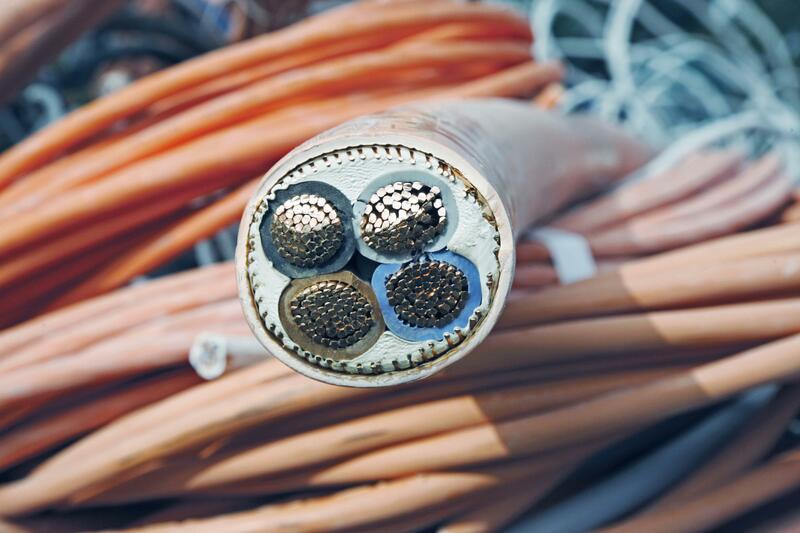 Cable recycling not only preserves and conserves valuable resources, it also significantly reduces energy consumption. 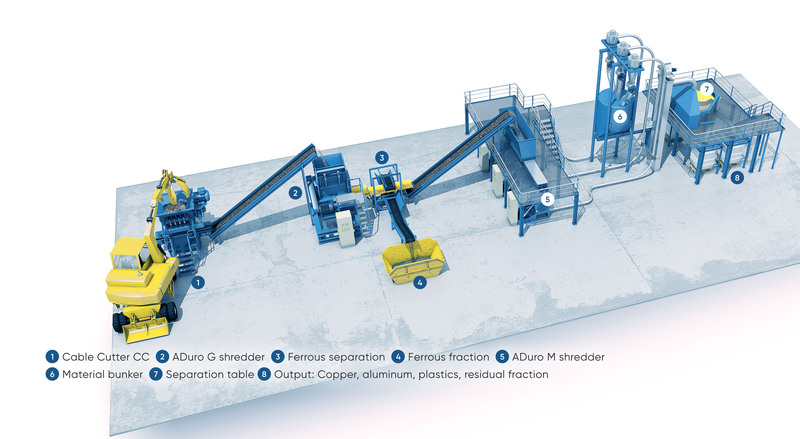 Recycling the metals in cables and wire requires only a fraction of the energy that must be expended to initially mine and extract ore.
household cables, power cables, underground cables, copper and aluminum cables, and high-voltage cables with V-PE sheaths. Inherently, the strands in the core are valuable as a secondary raw material due to the high metal content. In most cases, the individual materials in the cable or flexible wire adhere very closely to one another. To expose and process these fractions requires recycling technology that produces small grain sizes for optimum separation. 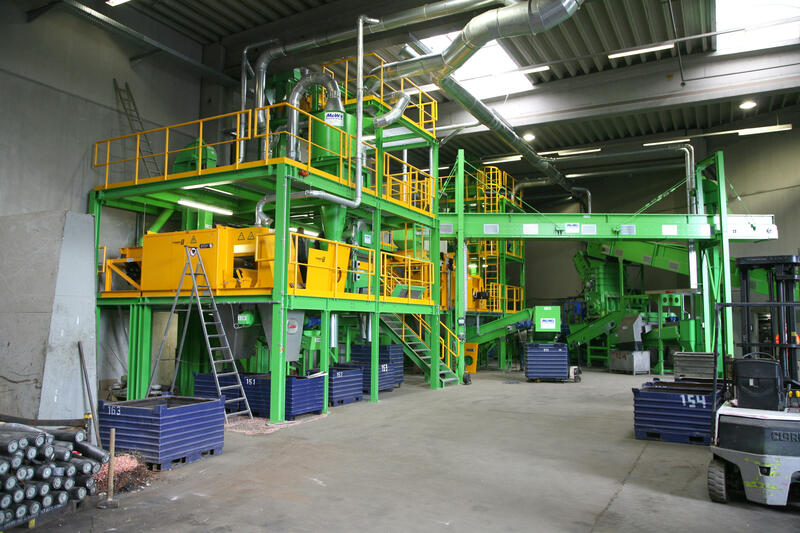 ANDRITZ Recycling supplies complete processing lines for all types of cable and wire waste, and has many years of experience in doing this. 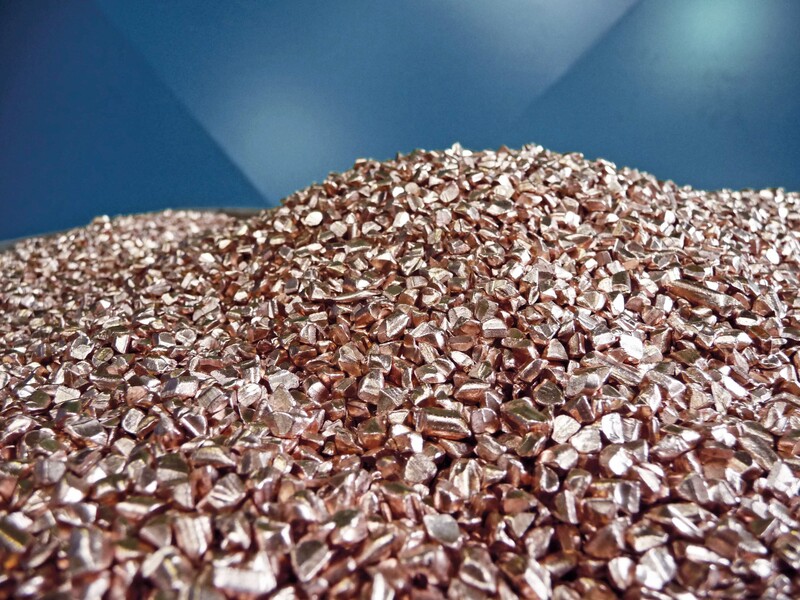 Individual metal fractions are recovered with nearly 100% purity due to the technology employed for pre-shredding, granulating, sorting, and separating. Reuse valuable materials without loss of quality.